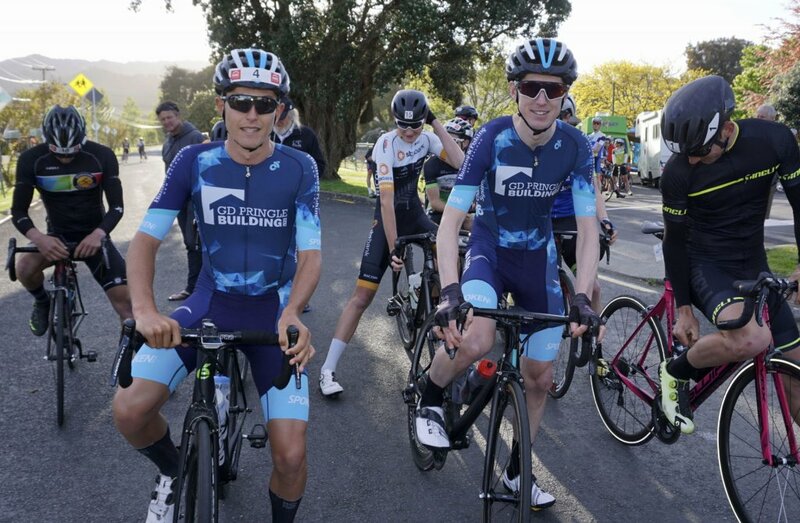 Cambridge riders made up two thirds of the Elite podium at Saturday’s K2 Road Cycle Classic in the Coromandel. Logan Griffin (left) finished second behind Michael Torckler (right). 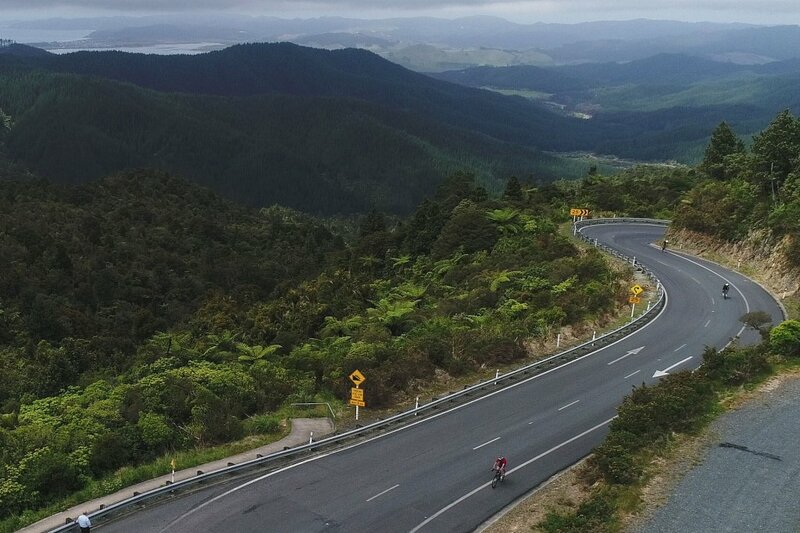 Cambridge cyclists dominated the Flight Centre K2 Road Cycle Classic in the Coromandel last weekend, smashing the opposition in the gruelling event that is regarded by many as the toughest one-day cycle challenge in the Southern Hemisphere. Local rider Michael Torckler won the 192km K2 Elite Men’s section in a record time of 5:00:47, while Xander White took out the 86km K1 event in 2:20:12. 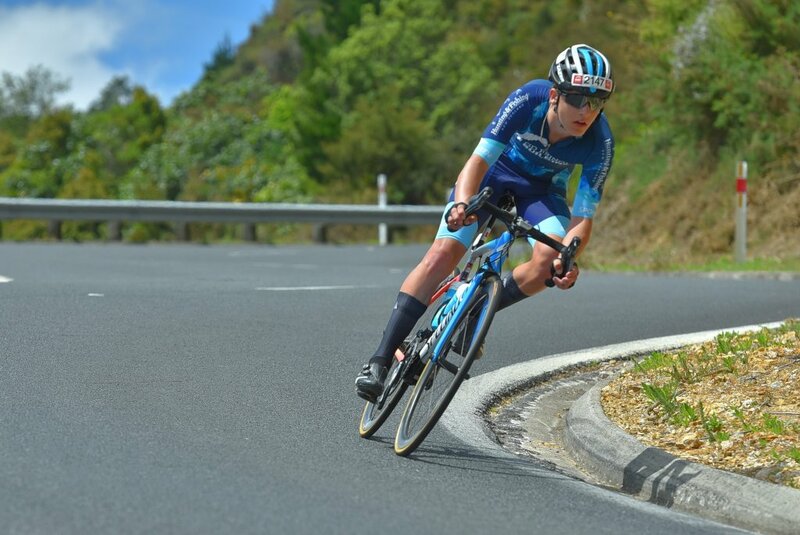 Finishing 10 minutes behind Michael, Spoken Cycles coach Logan Griffin came in second in the elite category, open to professional and semi-professional cyclists who are likely to complete the mountainous 192km course in under five hours 40. And in the shorter K1 course, Cambridge riders Reuben Thompson and George Jackson joined Xander on the podium with times of 2:20:17 and 2:22:03 respectively. Xander, who moved from Auckland to Cambridge at the start of this year to further his cycling, has to wait another couple of years until he can tackle the K2, which requires riders to be over 18. This year was his first in the K1 event, and 16-year-old Xander said the first part of the course was easier than he had thought it was going to be. “The last 40km was always going to be really hard, so we made it super hard to get rid of everyone else,” he said, explaining that he didn’t want to be part of a large pack vying for the finish line. With the 425m Kopu-Hikuai Hill towards the end of the course, it is unsurprising that there was a smaller group left to cross the finish line. Billed as 2,300 metres of screaming descent, this was the 17th year of the K2, which included E-bike categories for the first time. Organisers said that all up there were around 40 racers from Cambridge competing across five categories last Saturday.